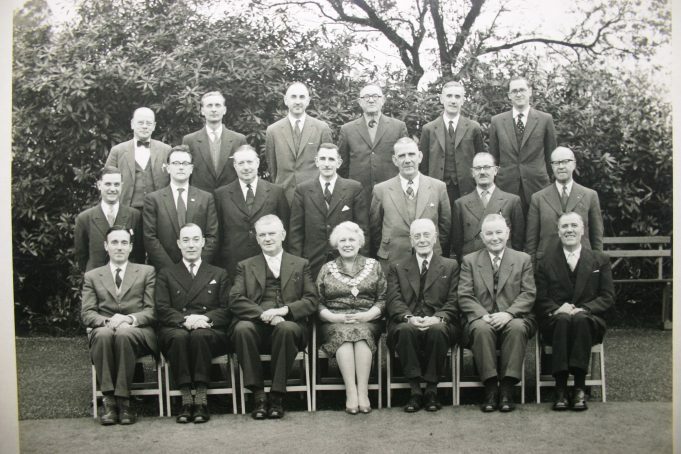 This photo, loaned to us by Castle Point Council, shows members of the council from 1959 – 1960. The caption tells us that four people were not present when the photo was taken. The Chairman during this time was Mrs M. Goodfellow J.P.
My late Father is in this photo Mr F J Daley. Back row, first on the left.